﻿ Swanky Moms Club: TheraNeem Nail & Cuticle Oil Pen Giveaway! 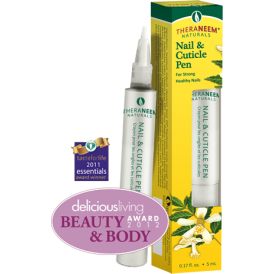 I recently had the opportunity to review the TheraNeem Nail & Cuticle Oil Pen. Let me just say, I LOVED IT! Even my husband loved it! 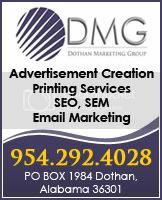 The product is manufactured by a company called Organix-South. Organix-South is America's foremost manufacturer of organic Neem-based products. The Neem tree is one of the oldest document medicinal herbs on the planet. Native to India and Southeast Asia, the Neem tree is commonly referred to as the "Village Pharmacy". Neem is very well know for its ability to safely treat a variety of conditions ranging from a natural pesticide to a dietary supplement. TheraNeem® Nail & Cuticle Oil from Organix-South is a solution for supporting healthy, strong nails while soothing and softening cuticles. I had the pleasure of trying the handy .17fl. oz. nail applicator pen with a brush. I absolutely loved the convenience of the way it is packaged. It is something you can throw in your purse or diaper bag and carry around with you. It smells great and leaves your nails and cuticles not only feeling SOFT but CLEAN! So many products now a days leave a greasy residue afterwards but all you are left with after using this product is great smelling, soft, clean feeling nails and cuticles. The antioxidant-rich formula is “super charged” to do the job because of key ingredients such as supercriticalextracts of organic Neem Leaf and Sea Buckthorn along with organic Neem Seed oil, organic Cocoa Seed butter, organic Sesame oil, organic Castor Seed oil and essential oils of Lemon, Lavender and Rose Geranium. Do you want to try one? Well lucky for you, we are giving one away! Just enter below!